With all the recent news talk about metadata, it’s worth remembering that so-called big data is useless without good algorithms to parse and analyse it, and rich metadata to guide us through it. In addition to various versions of OED [which has great metadata], the biggest datasets I access regularly are Google Books and Google Scholar, either to find data I’m interested in or to do rudimentary meta-analysis (via N-gram viewer, e.g.). I’ve discussed some basic problems with drawing conclusions from these datasets before, especially regarding the lack of metadata on genre, or type, of book. Long ago, Geoff Nunberg catalogued serious problems with the results of automatic metadata generation, in Google Books: A Metadata Train Wreck. Because you are a human familiar with the conventions of print, I’d be willing to bet that you correctly extracted the relevant metadata from this bit of text. Can you explain how you did it, in a way that could be adapted to all printed texts? This has been fixed, I think: the attribution to Prof. Balls-upon a Floor no longer shows up on Google Scholar, though it can still be accessed via a legacy link I created at the time. Somehow a Googlebot came around and cleaned up the mess a previous Googlebot made. It’s an interesting puzzle to try to work out what exactly in the algorithm that was trained to identify author names caused it to produce this silly result with this particular text. Perhaps was the first line ignored (or misclassified – as the publication title?) because author names tend to come below the title in most publications? 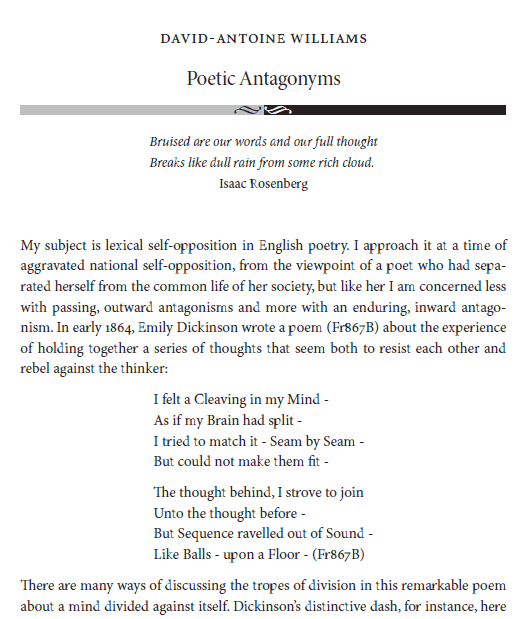 But surely even in that case “Isaac Rosenberg” ought still to have seemed more likely than “Like Balls-upon a Floor”? 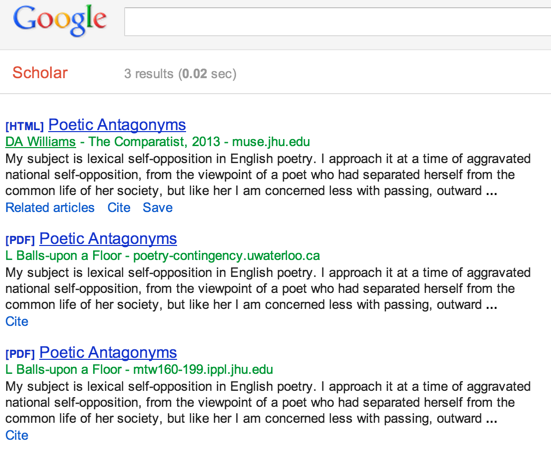 And how did Googlebot Two know which of Googlebot One’s three classifications were wrong, and which right?